End-to-end handling of all Commercial & Accounting activities for the start-up luxury store. Custodian of all assets of the Store – Fixed Assets, Stock, Cash & Debtors. Responsible for creating & maintaining a Control structure with streamlined processes. Cash Flow Management of Store – structure vendor payment terms appropriate to store . Establishing & maintaining a Budgetary Control process through the Retail Software. MIS structure to improve Sales Qty-Mix & Cost reduction. Procurement – responsible for imports & domestic purchase. Negotiation of better rates & Exploring new vendors for better quality, variety, price & payment terms. CA ,B.com or ICWA with 7- 8 years of experience in Commercial Control, of which min 3 yrs in a Retail Store / Chain. Experience in a Furnishing / Garments / Fashion store will be a plus, but not compulsory. Expertise in Import processes, Tax & documentation. Should possess good English communication & Biz presentation skills. Matured, can handle pressure with calmness & has profit improvement focus. Store Manager – with a premium Home Furnishing Brand. We are looking for a Store Manager for world’s largest manufacturer of home fabrics, in the form of curtains and upholstery. Mail your application to jinisha@netsyscon.net or call on 9833341077. Completes store operational requirements by scheduling and optimum utilization of resources and manpower. Planning and managing the store visual & merchandise displays; implementation of the sales development & promotional activities as per the plans. Identifies current and future customer requirements by establishing rapport with potential and actual customers and cultivate a long term customer relationship. Maintains store staff job results by coaching, counseling, and disciplining employees; planning, monitoring, and appraising job results. Analysing and interpreting market, industry and competitor trends to facilitate Marketing and sales planning. Monitor all point of sales activities in the store including sales transactions, tracking payments, maintaining inventory updates, handling returns and refunds, gathering consumer data for feedback. Maintain store hygiene and adherence to policies and SOPs. MBA (preferred in Retail Management). 7-9 years of Retail experience. 3-4 years of experience as a Store Manager. Assistant Store Manager Organic Food MNC @Delhi. We are looking for a Assistant Store Manager for an Organic Food Store @ Delhi. The Organization is a MNC dealing into Luxury Retail. Please mail your applications to racheeta@netsyscon.net or call on 09324460598. Assistant Store Manager is responsible for assisting in maintaining day-to-day store operation. Maintain stock, supplies and inventories. Maintain accounts and cash control. Employ, train and motivate Team Members. Maintain high standards in customer service and facilities. 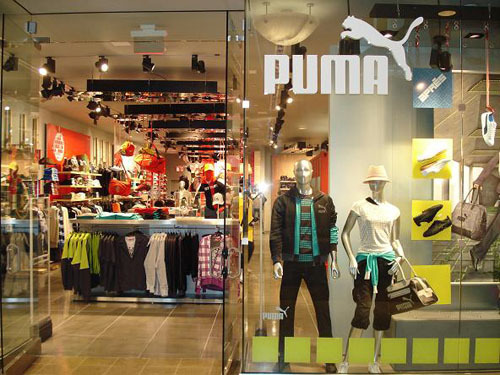 Maintain high standards of visual merchandising and store presentation. Target Clients are Niche High Profile individuals with a preference towards Organic Food. The products would be end products like Bread, Milk, vegetables etc. Minimum 2 years of store management experience. Assistant Store Manager with an International Retail Brand – Goa. An Assistant Store Manager is responsible for end to end management of the store. 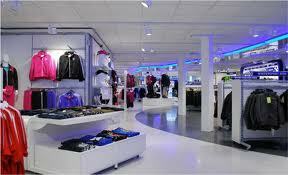 Primarily Sales, customer service, maintaining cash controls, purchasing and maintaining the store and Merchandise. We are looking for an Assistant Store Manager with a leading international Retail Brand for their outlet in Pune.Mail your applications to consultant01@netsyscon.net or call 09324460598. Min Graduate with 1-3 years experience in Retail. Store Manager – Organic Food MNC – Mumbai. We are looking for a Store Manager for an Organic Food Store @ Mumbai. The Organization is a MNC dealing into Luxury Retail. Please mail your applications to consultant01@netsyscon.net or call on 9324460598. Store Manager is responsible for maintaining day-to-day store operation. Minimum 6 years of store management experience.